The search engine era we live in got older and older, but it looks like it still possesses its forefront position when it comes to either evaluating CLV (Customer Lifetime Value) among major customer acquisition channels or the acquisition channel growth rate itself. In this regard, it is extremely important to get our content highly ranked on major search engines’ organic listings regardless of language or country specific hurdles. At the time I started working in the SEO field, more precisely nine years ago, SEO was in its heyday as you can clearly see in the attached trend chart taken from Google trends. There is a strong evidence that SEO itself has reached its maximum potential in its popularity but it also proves to maintain its leading position and doesn’t seem to go for a free-fall in the polls. This has been a strong signal for us SEOs that we should probably have to look for other marketing channels and make some progress in other directions along with the latest in marketing innovations like marketing automation, behavioral segmentation, auto trigger based email marketing, user behavior optimisation or consumer decision journey, just to mention a few. It looks like after Panda, Penguin and other smart steps made by Google, resulted in driving our digital marketing efforts towards users rather than search engines and all this on an individual level. It’s been a long time since SEOs were in the driver’s seat, now they still play an important role but users have taken over the wheel and we must adapt. What value can SEO offer? 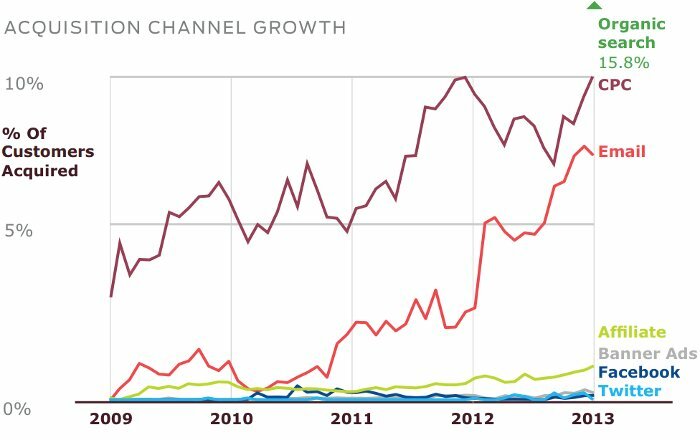 It is pretty obvious that email had an almost exponential growth rate compared to other popular acquisition channels, however organic search still far leads the ranking list when it comes to acquiring new customers. This leaves us both entrepreneurs and marketers to continue taking SEO seriously and do our best to achieve high rankings on major search engines’ organic listings. Customer retention has also played an important role throughout the years and, thanks to advanced user behavior, tracking solutions now it became a standard measuring protocol to better understand our customers through metrics like the CLV. This is important, especially in cases of very low pricing models when initial acquisition cost far exceeds first time incomes. According to the research made by Custora (72 mill customers and 86 retailer websites), data shows that customers’ lifetime value achieved through organic traffic increased with more than 50% which is again a strong signal that SEO must take its role as a leader when it comes to define your online marketing strategy. Probably the first step we should take prior jumping deep into our more robust international SEO strategy would be that of analysing current performance our website achieves through other markets. There are two main sources you can evaluate your data, one would be your Google Analytics account and secondly your Google Webmaster Tools account. Supposedly, at this stage, you are already being active on other markets but your website itself did not go through any serious optimization process to meet latest technical and contextual guidelines provided by Google. Therefore, you might be surprised what results your website achieves and what it could achieve if you’d follow international SEO strategy best practices. The example above suggests a strong evidence that the brand is strong enough to reach an audience beyond the main market (in this case Hungary) but considering the number of transactions and revenue, the results are very vague. Thanks to Google Webmaster Tools search query report and its location filter, you can further analyse your business potential, the number of impressions for competitive terms for which you don’t get traffic simply because your average rankings are above 10. Let’s suppose we are in the organic honey harvest industry in Hungary and looking to expand our market throughout all of Europe. According to the tool, Poland would be one of the greatest opportunities to expand our market along with Russia, Belgium and the Netherlands. 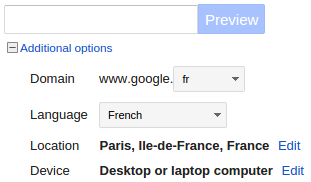 The tool itself is good but you should be careful with the automated translations made by Google. 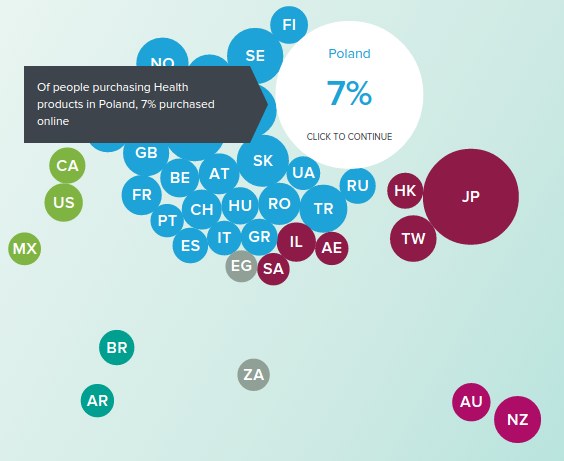 In our example, the Polish term kochanie relates to baby rather than the sweet product honey. It’s no wonder that there are people who are even not recommending this tool (read more about this topic on Searchengineland). Prior making the big step on other markets, there is other information you need which is far beyond the pure search volume or competition level the Google Global Market Finder offers you. You need some further insights into how consumers doing their research before buying a product or service. I bet you don’t want to find yourself in the situation when despite the high traffic you reached on a certain market and still the orders were not coming in. This issue is mostly due to the fact that users tend to do their research online and are only willing to make the purchase offline. What this tool can offer you? The tool is very flexible and allows you to filter and combine data according to the target segment you want to analyse. At this stage, you should have selected top 10 countries you might be considering to expand your services or product sales. However, prior jumping on a very robust and time consuming project which would involve many technical and contextual implementations, you’d rather test few of your products on few promising markets. I’m recommending this approach since you don’t want to find yourself with loads of invested workforce and budget just to wonder why orders are not flowing in. It is similar to the lean startup methodology which suggests starting lean and further optimise along your market expanding journey. And finally, what you’d need is to make separate landing pages for few of your products each one in the language of your targeted countries. Allocate a budget and set-up a PPC campaign, then measure its performance. I would also highly recommend use of A/B testing as well as online surveys to find out how you could improve your services or simply said how you could better meet your customers’ demands and expectations on each individual market. You reached the point where, thanks to the favorable results, your test campaigns achieved on your targetable markets, you must take some more serious steps to secure your brand on the international market. This is something you need to define before it’s too late. Brands are favored by most search engines and in case of Google it’s even part of the ranking algorithm (Vince update) so you’d better take this issue at least as seriously as your accounting commitments. You need to know what are your targeted terms for each product or service and for each individual language and country you plan to reach. You need search volume data on the local market and languages used. It is very common that within certain geographical areas (countries or regions within a country) there are more languages being used. Few of such good examples would be Canada with English and French speakers or Transylvania (a region within Romania) with Romanian and Hungarian speakers. A thorough keyword research process could take some time but I’m focusing on providing you a good starting point rather than getting into details. The most commonly used and free keyword research tool is provided by Google under your AdWords account. 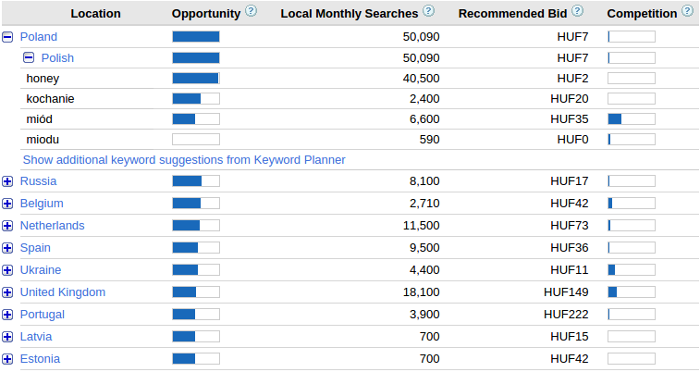 It’s called Keyword Planner and is being widely used by both individual marketers as well as agencies. You can research by language and region and further refine the results by using the tool’s filtering options. What about other search engines besides Google? Despite Google’s biggest market share on a global scale, there are still regions where its share is far below compared to other local search engines. In this case, you must know that your SEO efforts should be focusing on local search engines’ organic listings rather than Google’s SERPs. The good news is that in case you follow Google’s latest Webmaster Guidelines then you should do pretty fine on other search engines as well. As soon as you’ve completed your keyword research, you’ll get a list of competitive keywords as well as long-tail terms relevant to your products or services. 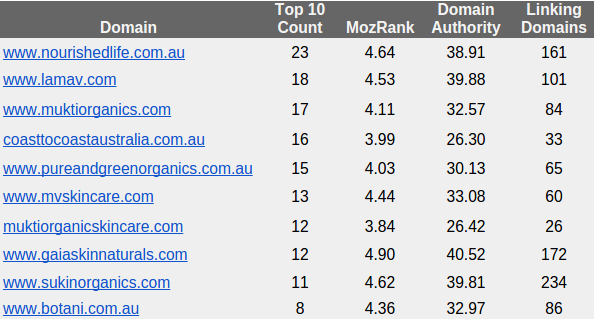 Beyond the many keyword specific data like monthly average search volume, average cost per click and level of competitiveness, we must find out more about our competitors (top 10-20) for each individual term or at least for the most competitive ones. Completing a thorough competitive research is a long process and there are many areas this research can cover. Luckily, I have already covered this topic in a previous post Your Ultimate Competitive Benchmark and Analysis. While working on our international SEO strategy, whenever it comes to competitive research, the first step we should make is to find out who would be our main competitors in Google’s organic listings. In the SEO field, we call it SERP saturation report for which there is a quick and very easy to use solution created by Tom Anthony from Distilled. It’s a Google spreadsheet you can easily duplicate, have your Moz account API keys, Google geolocation settings and around 50 topic specific keyword terms from your previously done keyword research. I have done a demo for you gathering around 30 keyword terms related to organic skin care used in Australia (google.com.au). Through a Secured Virtual Private Network like HideMyAss you can basically navigate the internet as you were from any country of your choice. This way you can see localised search results in Google and get a more relevant SERP than if you’d be checking in a non-hidden fashion. Yes, as the title itself, this topic is supposed to cover a very frequently occurring issue of which the most common one is the use of English language in different geographical areas (US, UK, Australia) or multi-language regions like Canada with French and English speakers. If these issues are not handled appropriately, there are a lot of opportunities your website is missing from an organic traffic performance perspective. Luckily, thanks to major search engines’ joint efforts, we are being offered all the necessary technical solutions to adjust our websites to better target our audience either by language, country, regions or a mixture of these characteristics. 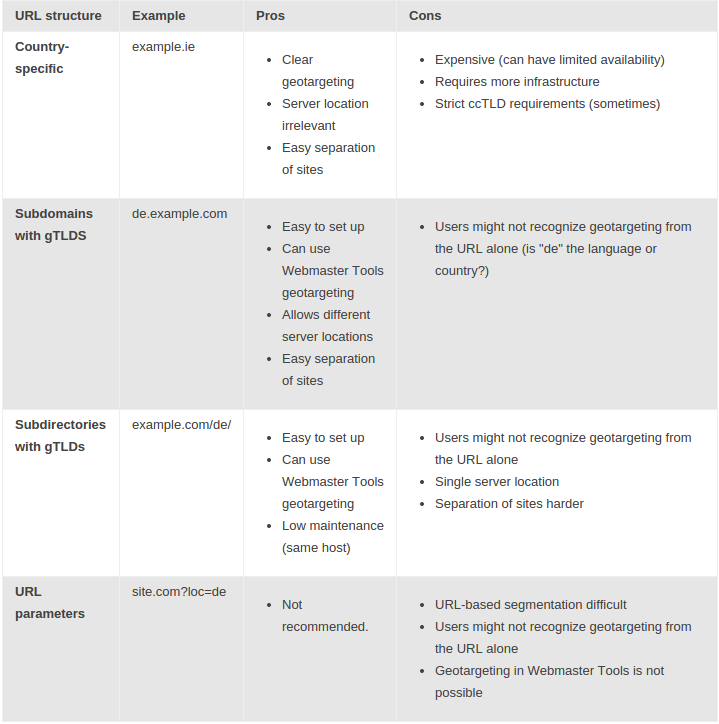 Let’s see what are the most common scenarios and how you should handle them according to latest Google Webmaster guidelines. 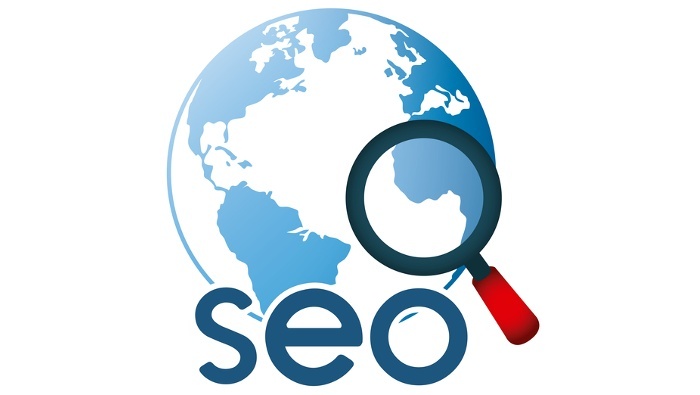 In case of generic domains you have the option through Google Webmaster Tools to adjust the targeting region yourself. Besides most commonly used generic TLDs like .com, .net or .org you can find the whole list of geotargetable TLDs in Google’s Webmaster Help section. These TLDs are automatically targeting the country they represent and you won’t have the option to alter their default settings manually in your Google Webmaster Tools account. Still, there are ccTLDs which are in the generic category such as .ad, .io or .sr (check out the list I provided above). Similarly there is an alternative for XML sitemap configuration. As we’ve seen, going international is not as simple as most of you might have thought. There are many steps you should take prior your international business journey. Don’t forget, it’s not a game, rather a business decision you should make wisely. Don’t rely on what others are saying, do your homework first and based on the data and results you get, make your final decisions. Hope you got my points valuable but feel free to add your thoughts or experiences lower in the comment section. Let’s discuss this even further and exchange few more valuable aspects of the international SEO strategy.